Having seen a weak US session most Asian indices opened in the red. However, that was not to last and most recovered by the close. The SENSEX took less than an hour before it was trading positive whilst the ASX and Nikkei never actually managed a recovery. The key sector that has led the Nikkei higher have been the culprits during the decline. 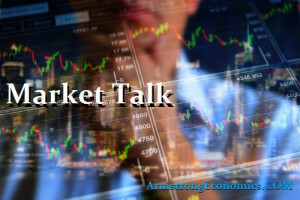 Technology weighed on both sentiment and confidence, but declines were halted as talk of Bank of Japan buying of ETF’s helped to support prices. We do have a Japanese national holiday Wednesday and so volumes were light as the FED decision will be known by the next cash open. Worth keeping an eye on the Yen as it has rejected the mod 105’s and is comfortably trading mid 106’s. This could be crucial once the FED decision is known as the Yen has plenty of negative room that will aid stocks on an international basis. Australian All Ord’s finally closed the day down -0.4% but given that the A$ remains heavy, it was not a great day for international money invested there. China’s Shanghai and the Hang Seng both turned positive in afternoon trading and are continuing via futures as the US markets recover. Europe took much of its momentum from the US again today as it appeared to wake only once the US were in. Don’t forget, we are on short lunches this week until the UK moves their clocks spring forward their one hour – due March 25th. Therefore, US markets are heavily influencing European especially as the FED has such a prominent decision this week. Markets are happy to let the US lead still with the majority expecting a 25bp hike. All core closed around +0.6% firmer with the DAX leading via banks, insurers and tech bouncing back. A healthy bounce today following yesterdays 300 point decline and especially ahead of tomorrows FED decision. Utilities and rate sensitive stocks tended to drag their feet, but that shouldn’t be a surprise. Treasuries seeing a parallel shift across the curve, which is assisting the DXY; so worth keeping an eye on the Dot-Plot for a while yet! Lets see how we react after tomorrows announcement, but stocks are becoming accustomed to rate hikes whether we are talking three or four throughout 2018. Not since 2011 have we seen stocks react positively, so will be interesting to see if tomorrow results in another “unexplained” move. Japan 0.04%, US 2’s closed 2.33% (+3bp), 10’s 2.88% (+3bp), 30’s 3.11% (+2bp), Bunds 0.58% (+1bp), France 0.82% (+1bp), Italy 1.89% (-7bp), Greece 4.13% (-2bp), Turkey 12.27% (-25bp), Portugal 1.70% (-2bp), Spain 1.29% (-3bp), and Gilts 1.48% (+4bp).